From left to right you see Stephenson Equipment’s progression of expansion. The first photo is the original building they occupied in 2005 on route 315, the middle photo is the facility they operated out of on Armstrong Road from 2007 to 2017, and on the right is their new facility at 600 Sathers Drive. All three locations are only a few miles away from each other in Pittston, PA just off exit 175 or 178 of Interstate 81. This is Stephenson Equipment's third expansion in the area since their first location in 2005 along route 315 in Pittston, Pa.
Stephenson Equipment (SEI) is growing to meet the needs of their customers in the northeast region of Pennsylvania. “Our commitment to this area of the state is stronger than ever with the opening of our new facility here on Sathers Drive in Pittston.” said SEI's Vice President and Branch Manager Dave Donati. 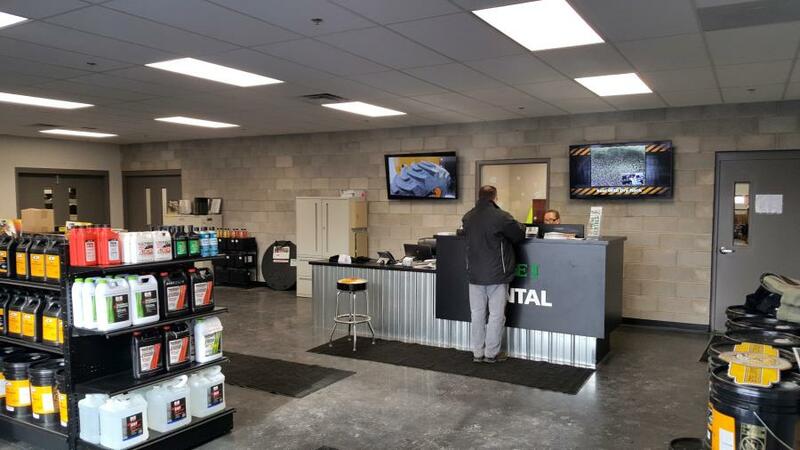 The new location is just a couple of miles up the road from their previous location on Armstrong Road and features many new larger and taller work bays that allow the service techs to complete customer work faster and more efficiently. Moving into the new facility has allowed Stephenson to increase their focus on two of the key diverse markets they serve: cranes and heavy-lifting equipment service and asphalt and construction equipment service. 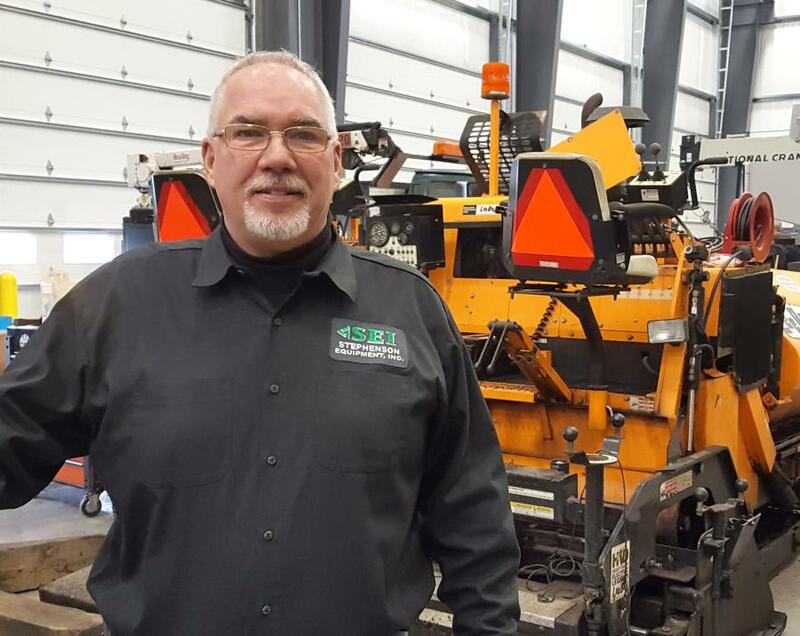 “With the expansion we hired Doug Keen to manage our asphalt and construction equipment service department, while Jeff Toot will continue to manage the crane service department.” said Donati. The new facility sits on property that gives SEI twice the area for cranes and equipment. 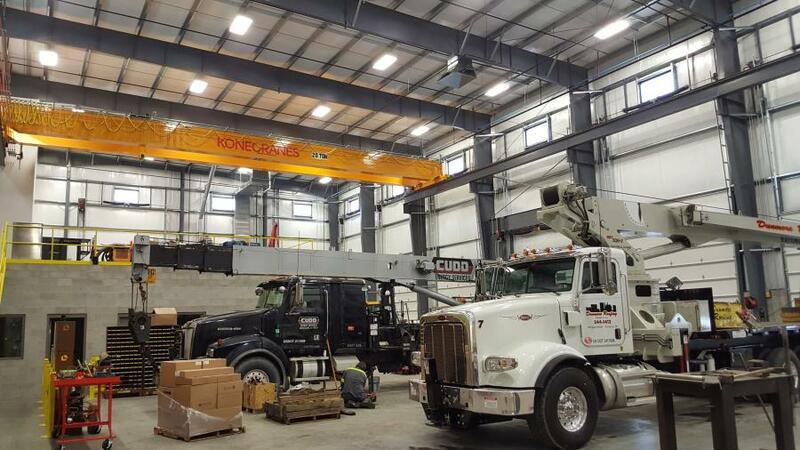 The new building was specifically designed for servicing heavy equipment and cranes, and features an overhead crane and high ceiling heights needed when working on large heavy equipment like cranes. Also figuring into the building design is a massive parts storage area that works perfectly in the flow of the buildings layout. Parts being in-stock and available for the machines they sell and service is a large part of what they refer to as the Stephenson Equipment Package, where their goal is to have the crucial parts available if a machine goes down, backed up by a fleet of field service trucks and technicians. This type of a partnership commitment to the productivity of their customers' equipment is what fuels Stephenson's growth across Pennsylvania and New York. Asphalt / Concrete / PavingBusiness NewsCranesPennsylvaniaStephenson Equipment, Inc.
Asphalt / Concrete / Paving Business News Cranes Pennsylvania Stephenson Equipment, Inc.